Scientists use their senses to observe and formulate questions. 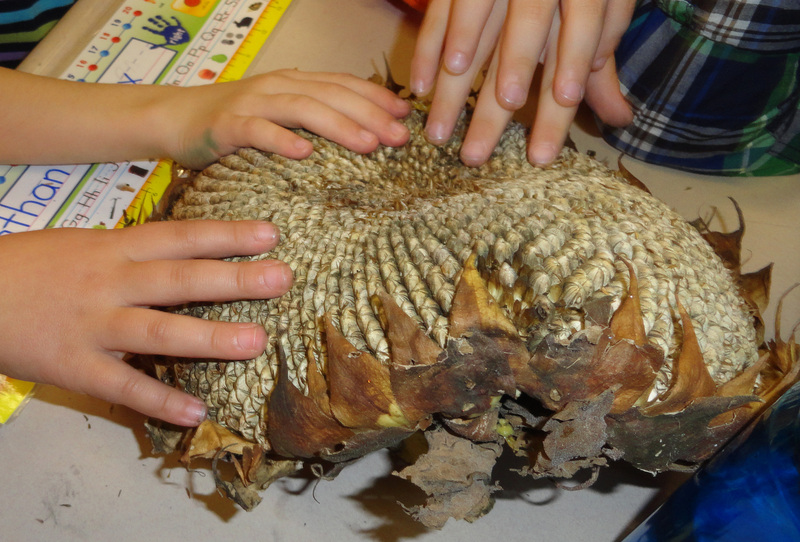 In this lesson a first grade class observes sunflower heads. 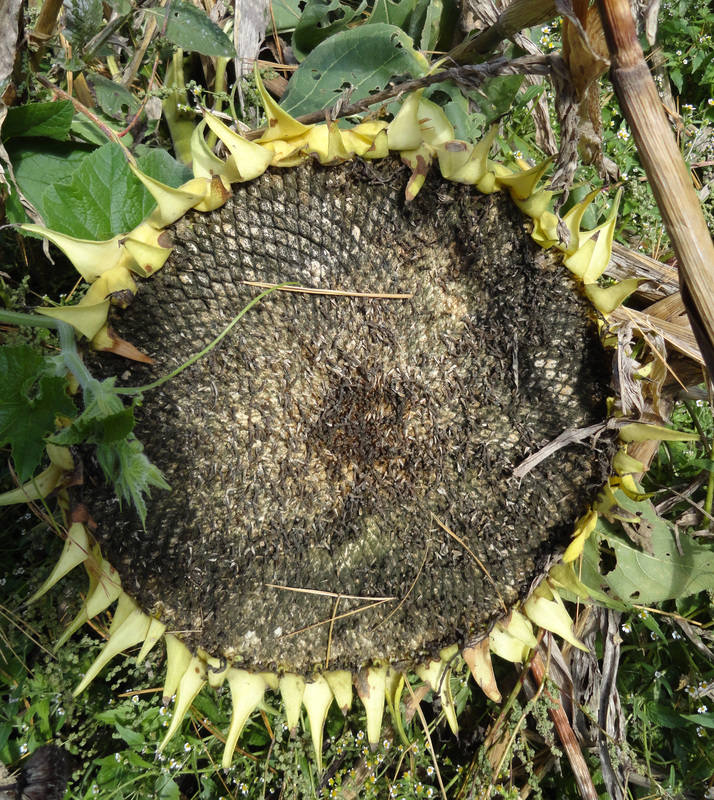 WOW [Wonderful Object of Wonder]: 5 large sunflower heads and 1 sunflower still on its stem. 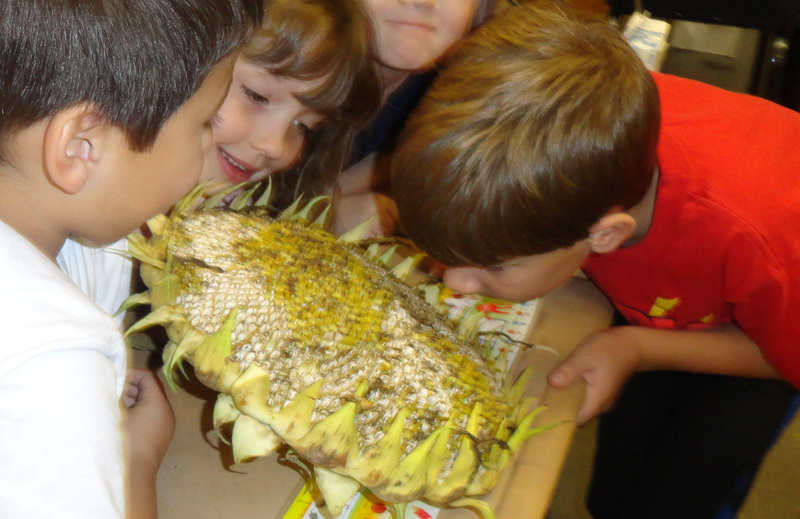 Presentation: Sit children in small groups and set a sunflower head before them. Ask the following questions and allow time for every child to share his or her ideas several times. 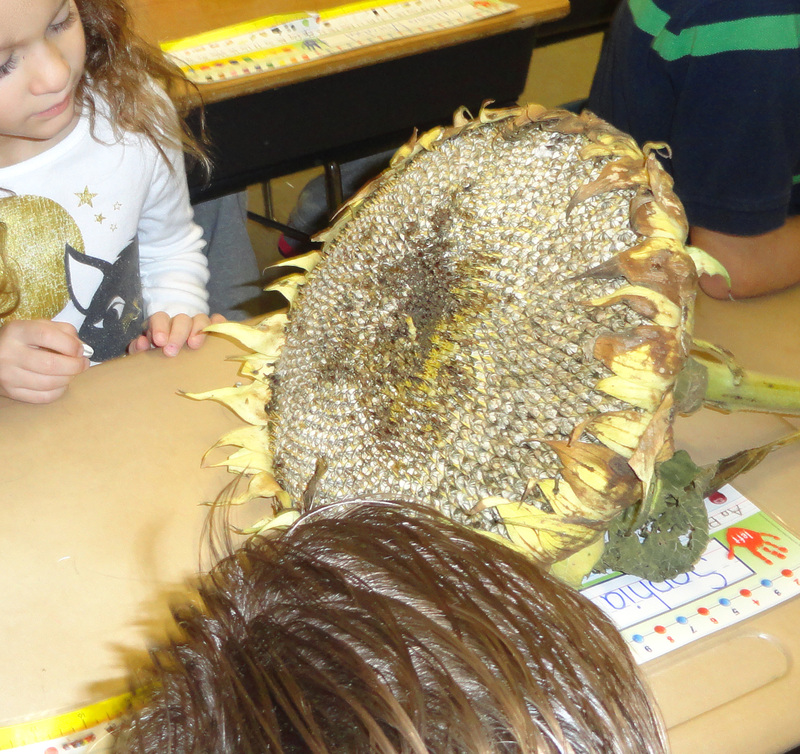 What can we observe about sunflowers? What shapes do we see? How many do we see? Is it wet, dry or both? Is it hard, soft, smooth, bumpy or all of these? Does it stay together or fall apart? Does it smell strong or not very much? Does it smell like something you have smelled before? Does it smell nice or yucky? Without moving or touching it, does it make any noise? Does it make a noise when you touch it? When might it make noise? Solicit questions: Next gather child-generated questions and list on board or chart paper. How does it get so big from such a little seed? What are these little yellow and brown flower things? Do they blow over in the wind? Can we plant them [the seeds] now? Together with the children devise tests and do research to find the answers to the children’s questions. 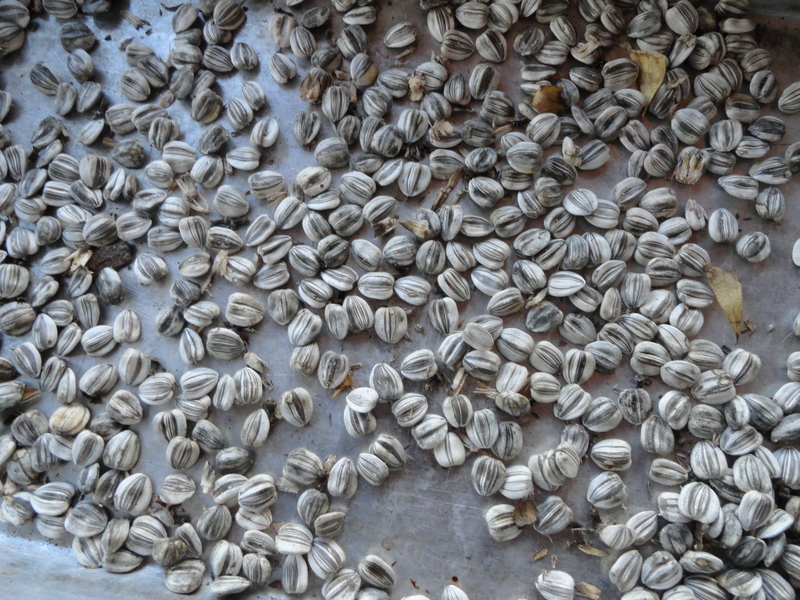 For example: Set up a center where the children can remove all the seeds from a sunflower head and count them. At another center put out the different measuring tools and the sunflower on its stalk to find out how tall it is. Provide cups and dirt and plant some of the seeds to find out if they are alive. Put out books about sunflowers and find information on the web. 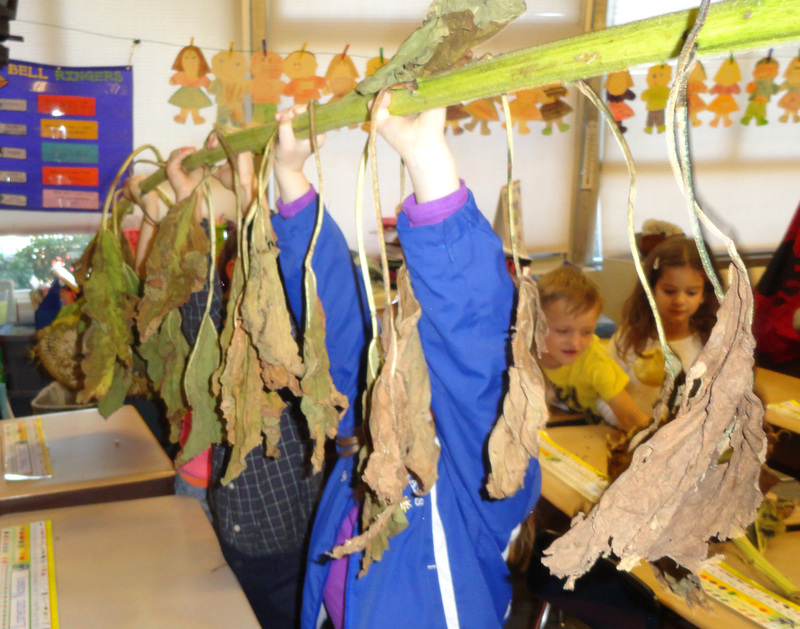 After all children have had an opportunity to explore the centers, share what they have learned, have them share with the whole group. Find out what new questions they have and make a list. The scientific name for a sunflower is Helianthus., which is Greek for Sun Flower. They are one of the fastest growing plants. The tallest sunflower was 25.6 feet tall. The sunflower is native to North America and was used as food by the Native Americans. 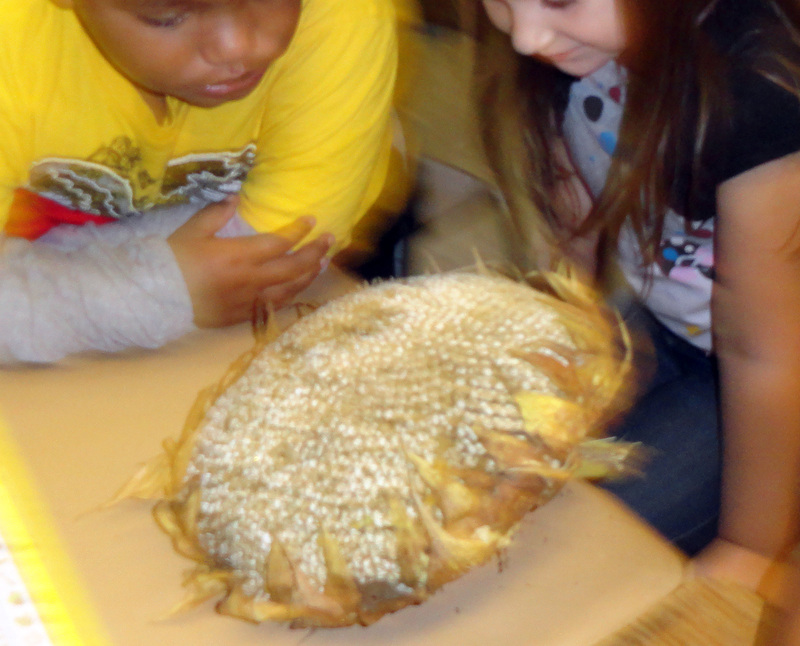 Each sunflower head is made up of 1000 to 2000 flowers which turn into the seeds. 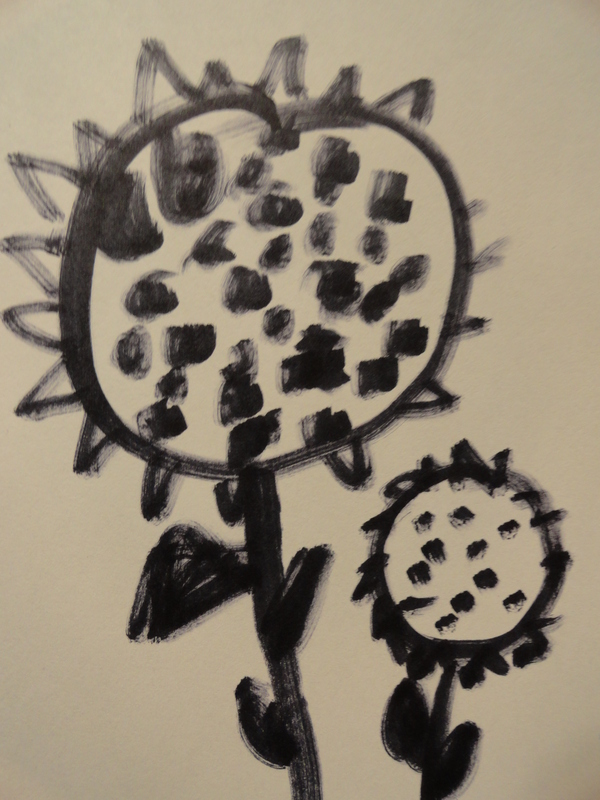 The sunflower is a heliotrope, which means it follows the sun as it crosses the sky each day. Oil is made from black sunflower seeds. Snacks are made from white striped ones. 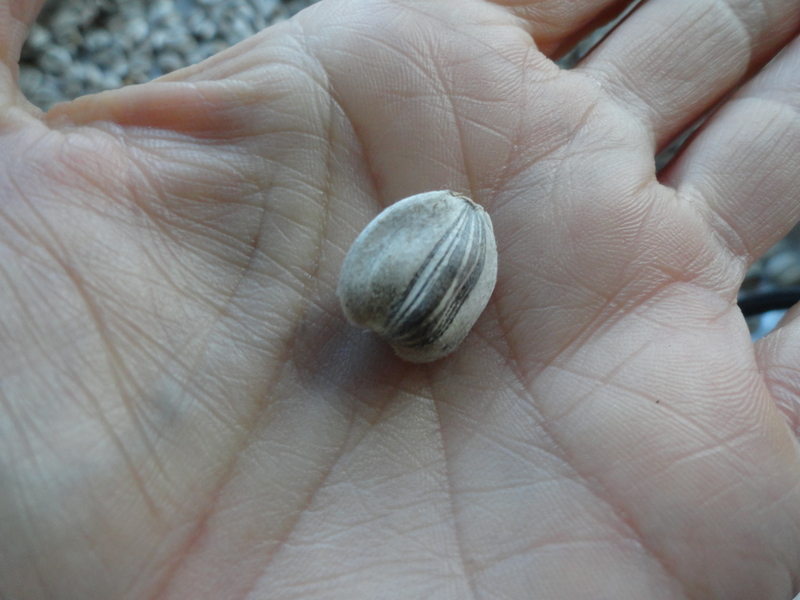 You have to crush break open the outer shell to find the edible seed inside.